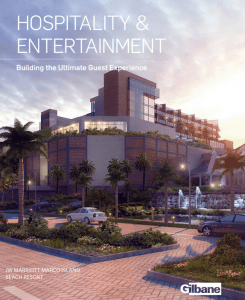 Your hospitality development investment demands a return as soon as possible. We understand the unique requirements of getting your facility built, from early funding through permitting to turnover. Working collaboratively with team members and project partners, Gilbane achieves results with Lean construction practices including design-assist strategies with trade contractors and pull planning scheduling to ensure your project is delivered efficiently. Click on photo to learn more about our hospitality and entertainment experience.